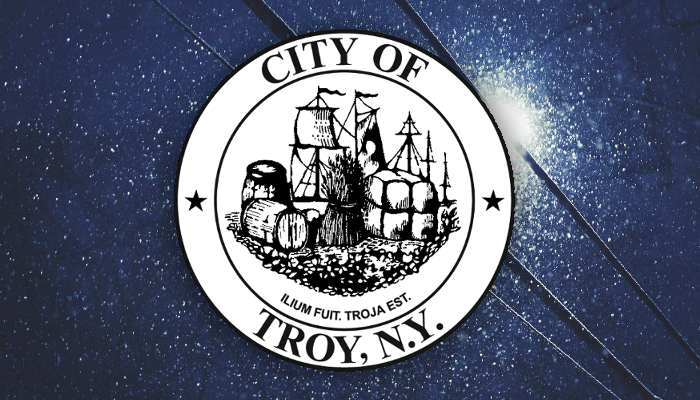 TROY, NY – Mayor Patrick Madden has issued the following update on city operations in response to the ongoing snowstorm and hazardous conditions impacting Troy during the holiday weekend. “As precipitation winds down on Sunday, pushback operations will begin across the city. Crews have been working throughout the night to keep roads open for emergency vehicles and personnel. I extend my appreciation to our Department of Public Works and Public Utilities staff for their ongoing efforts before and during the storm. “Please check on neighbors, family and friends, especially the elderly or those with young children. Lend a hand by shoveling sidewalks and ramps near your home or business. Help keep our City accessible to everyone, regardless of age or ability. “Residents are reminded to not shovel, snow blow or plow snow back into the roadway. This reduces effectiveness of snow plows and may create a hazard for vehicles. Please do not drive today unless absolutely necessary. Stranded/stuck cars hinder effectiveness of plow vehicles. With over 150 miles of roads to clear across the city we need to keep our trucks moving. “If available, residents are asked to park vehicles in driveways to keep city roadways as clear of obstacles as possible. Your cooperation will assist in keeping our streets open and passable.